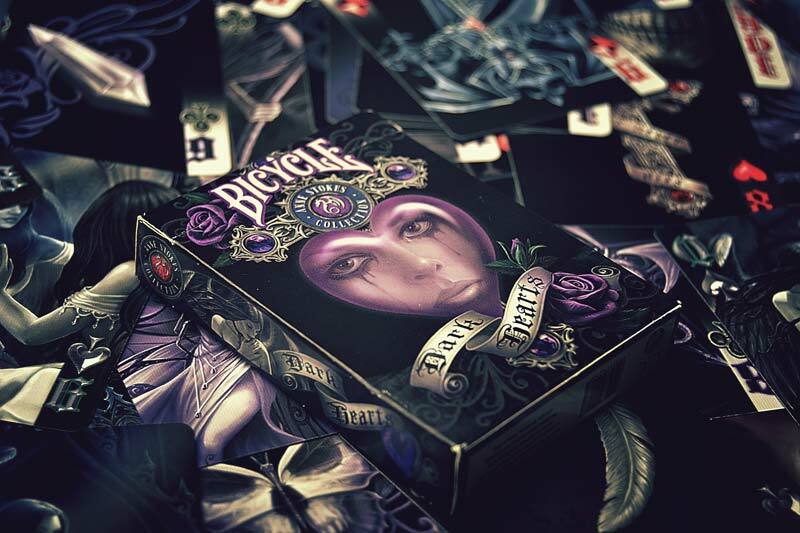 Bicycle® is renowned worldwide for its collection of exclusive decks with special themes or customised decks adored by a large community of collectors. Bicycle Friends & Family products are made of extremely high quality materials, from embossed printed cases and special inks to the application of foil on the cards themselves. Always with the prerequisite the brand’s own Air Cushion Finish™ and the Made in USA stamp, these attractive designs cover a variety of themes created by renowned artists. Many of these products are limited editions, focused on niche markets attracted by the brand value and its attractive designs. 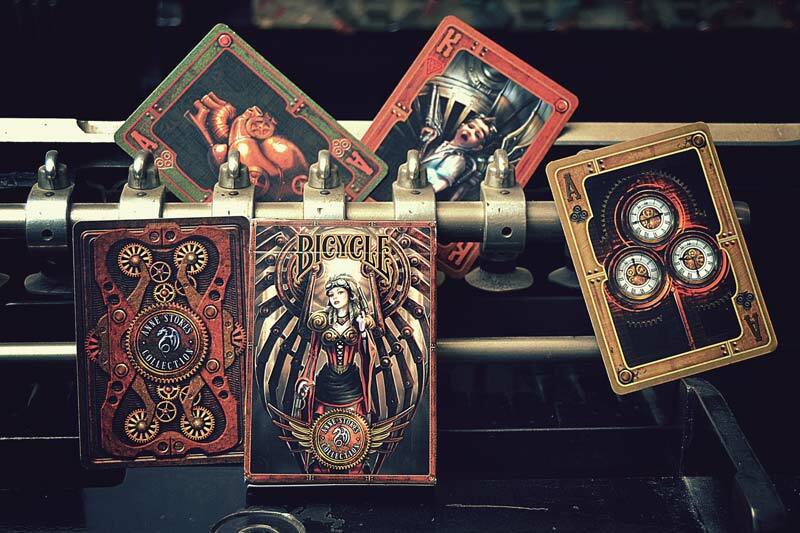 In order to develop the range we have prestigious studios such as Brosmind to internationally renowned artists like Anne Stokes, as well as cardistry artists and magicians.  You can download and view our range of collectable cards in PDF format.